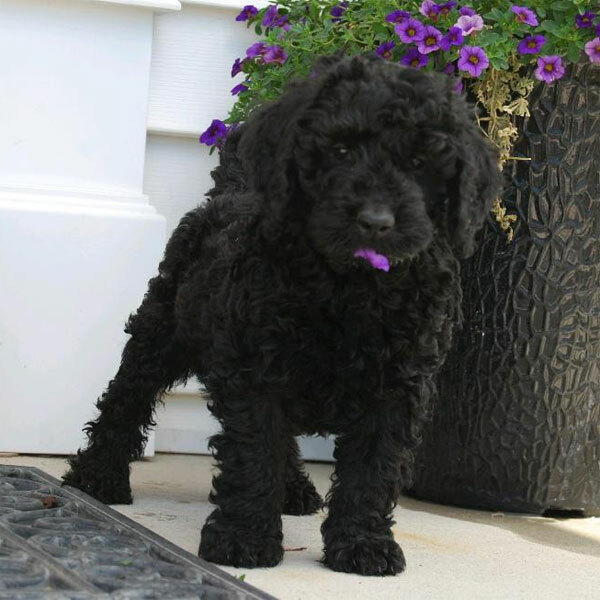 Get the Labradoodle of your dreams from a breeder with integrity. 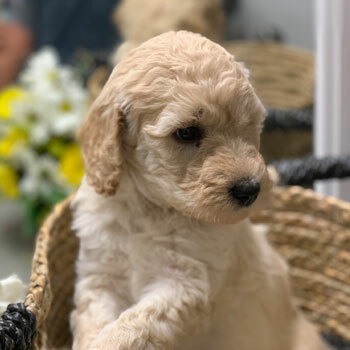 Uptown is an elite network of Australian Labradoodle breeders, working together to bring happiness to the world with puppies. 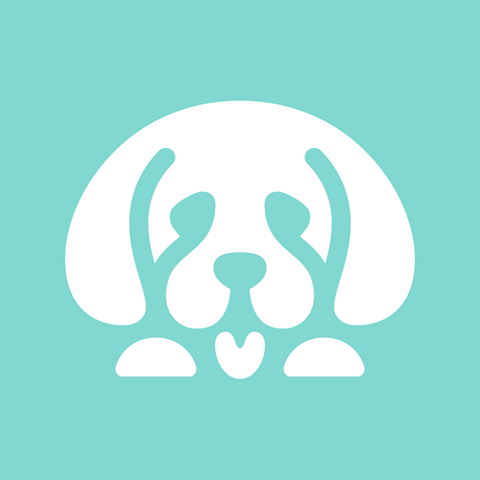 Uptown is what happens when passionate breeders join forces to deliver the BEST dogs to the BEST families. 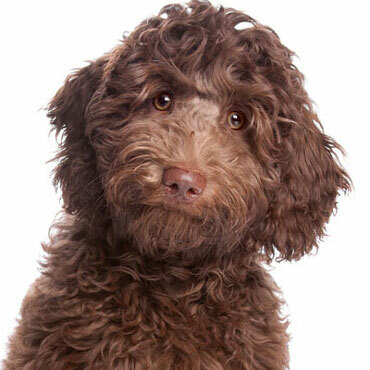 Adorable, cuddly, allergy-friendly and super-smart, our Labradoodles are known for being the best of the best. 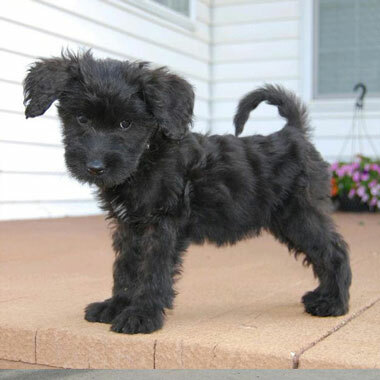 When your family is searching for a new best friend and companion, there’s simply no better dog than a Doodle! 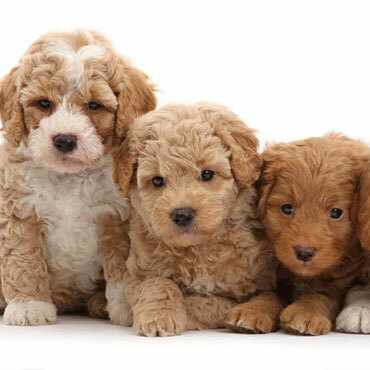 Multigenerational Australian Labradoodles are allergy friendly and don’t shed, unlike many other so-called “hypoallergenic” breeds. Life is so much easier when you don’t have to worry about your dog triggering allergies or leaving piles of fur around the house. 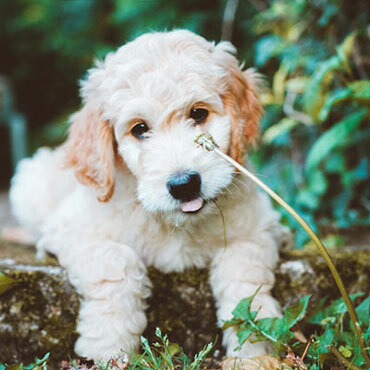 Labradoodles are one of the cutest breeds in the world, and Uptown’s Labradoodles are bred to be even MORE adorable than average. Fluffy, cuddly and super-photogenic, it’s no wonder why so many of our dogs go on to have successful Instagram careers. 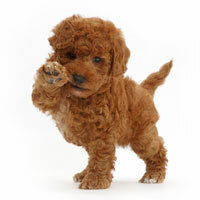 Renowned for their patience and friendliness, Australian Labradoodles are always up for doing whatever you’re up to. 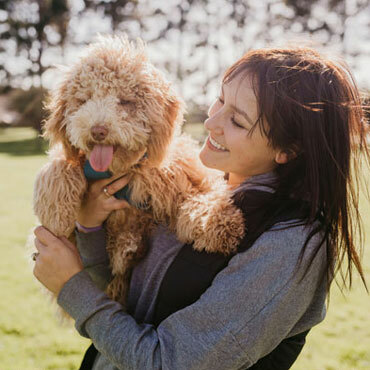 Whether you want a buddy for your morning jogs or a companion for your afternoon naps, Labradoodles have your back! Labradoodles are crazy smart—and with genes from the obedient Labrador Retriever and bright Poodle, why wouldn’t they be? From basics to complex commands like “order a pizza for dinner,” teaching your Doodle new tricks is a breeze. 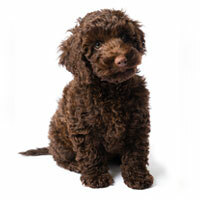 Australian Labradoodles fit well with nearly any family, whether you have lots of kids and pets or you live alone. 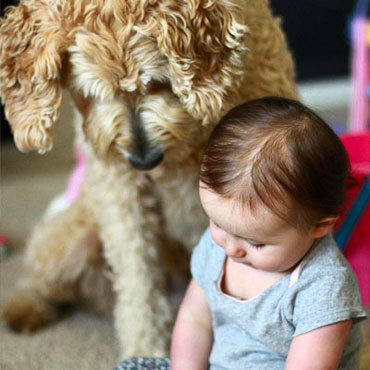 Labradoodles are highly adaptable, and both enjoy and bring joy to families of all shapes and sizes. 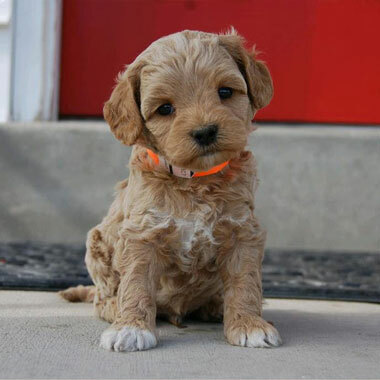 Uptown Labradoodles are available in tons of color options and four sizes for countless possibilities. And the best part of working with Uptown is that YOU get to choose your perfect dog! After looking for months for a reputable breeder, I'm so happy I ran into Uptown Puppies. I got my best friend Nelly and she's the cutest thing ever. Everyone who meets her loves her! 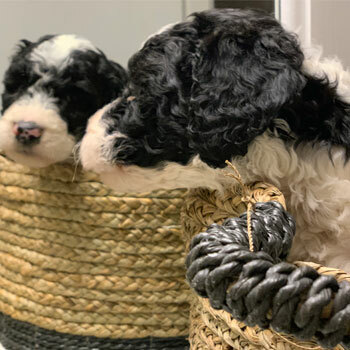 Meeting the huge demand for our dogs was a challenge that we overcame by creating a premium network of the best Doodle breeders—it’s better for us, better for our dogs, and better for our customers. Uptown breeders adhere to strict guidelines when it comes to our dogs, including litter limits, breeding retirement ages and guardian homes for our mommy dogs, plus providing only the best living conditions for our little ones. Reducing the risk of genetic disease while maximizing our dogs’ already-amazing personalities is all in a day’s work for us. 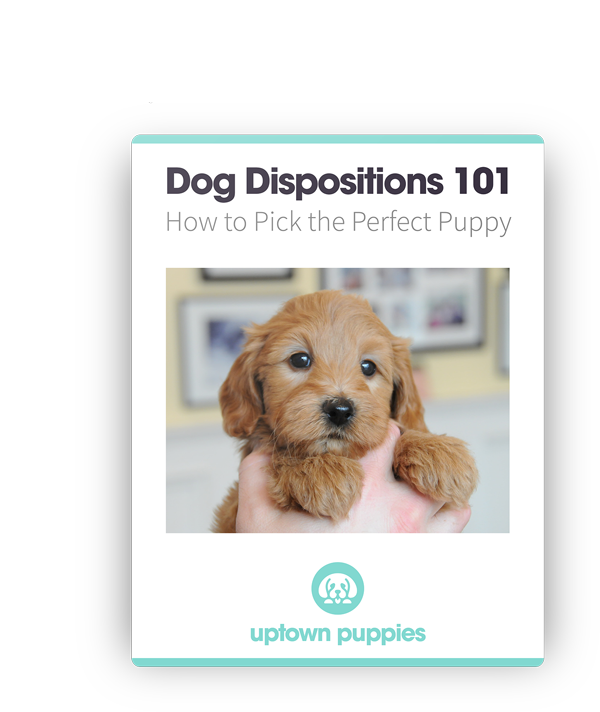 We want each and every Uptown litter to be just as healthy, friendly, and awesome as the last. We love our dogs like family, and taking home one of our puppies makes you a part of that family. To give your pup the best chance at success, we also offer high-quality Doodle food, supplements, and even training materials! We decided to get our puppy from Uptown after a lot of research and we're so glad we did. 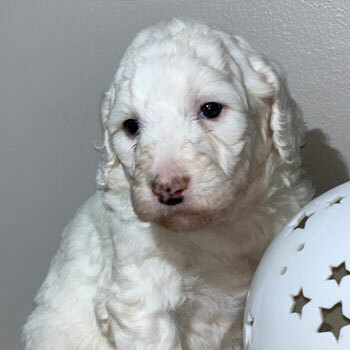 We got the exact Doodle we were dreaming of and he's perfect for our family! 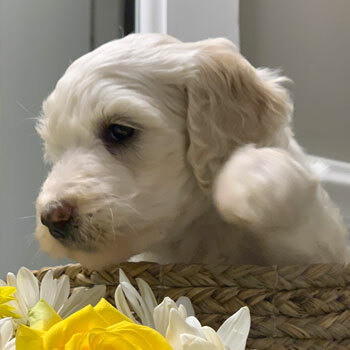 Choose your favorite size, or choose one of each—with four types of Labradoodles, there’s bound to be one that’s perfect for your home. LWant our big-dog personality in the tiniest package possible? 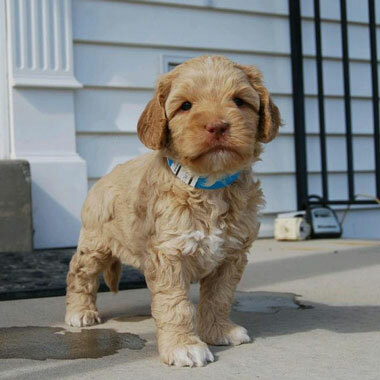 Then you’re looking for our Micro Labradoodles! Ready for a travel-sized pooch who’s ready for adventure? 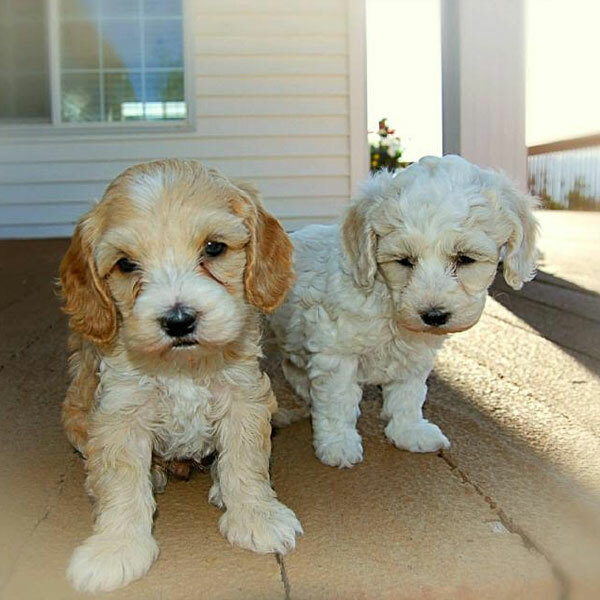 Our Miniature Labradoodles are tiny and cute as a button! 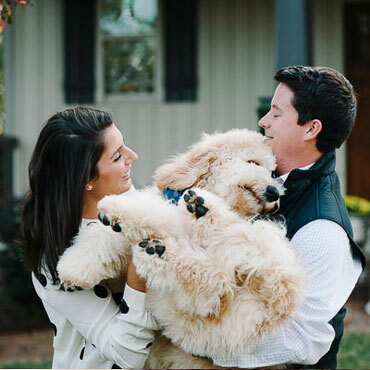 Not too small, not too big—Medium Labradoodles offer the best of both worlds and make a great fit for so many different homes. 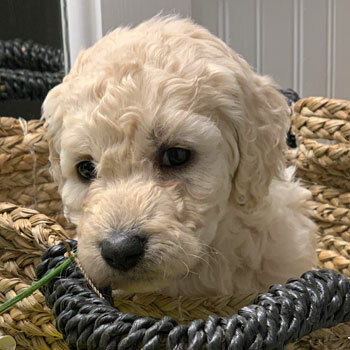 Gentle, huggable teddy bears—Uptown’s Standard Labradoodles are energetic and full of love, and can’t wait to meet a family like yours. 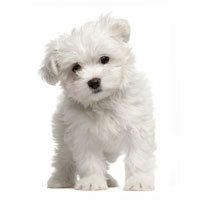 Choosing the perfect puppy goes far beyond pointing at the pooch with the cutest face or the coolest coat color. 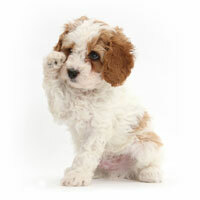 Download our free ebook and find out how to pick the the right puppy for you. 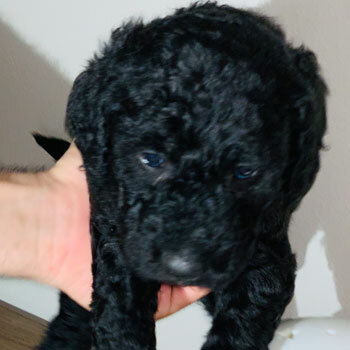 Labradoodle puppies for sale near me in New Hampshire! These pups are ready to go to their forever family. Description: Billy was born on January 6th, 2019. He is an F1b Parti Standard sized Labradoodle. He will be between 45-50 lbs. He loves to play but also loves to snuggle. Billy is the largest of the litter and the leader of the pack. Description: Cloud was born on January 6th, 2019. She is an F1b Standard sized Labradoodle. She will be between 45-50 lbs. She’s named cloud because she is so curly and fluffy. Cloud absolutely loves kids! 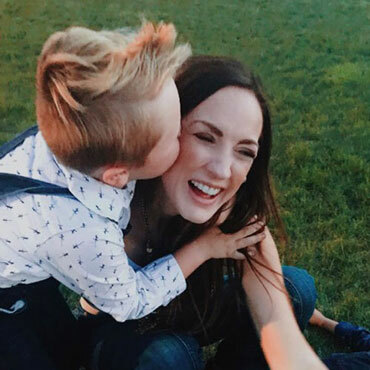 Description: Knightly was born on January 6th, 2019. She is an F1b Standard sized Labradoodle. She will be between 45-50 lbs. She’s spunky and playful. 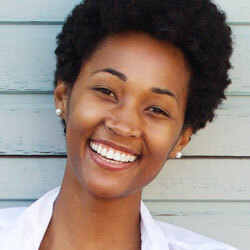 She is confident in herself and has a ton of love to give. Description: Waffle was born on January 6th, 2019. She is an F1b Standard sized Labradoodle. She will be between 45-50 lbs. She loves to cuddle with her siblings and also other kids! Description: Patchy was born on January 6th, 2019. She is an F1b Standard sized Labradoodle. She will be between 45-50 lbs. Her favorite activity is getting her belly scratched! Description: Polar was born on January 6th, 2019. She is an F1b Standard sized Labradoodle. She will be between 45-50 lbs. She’s got a sweet temperament and sparkly eyes! 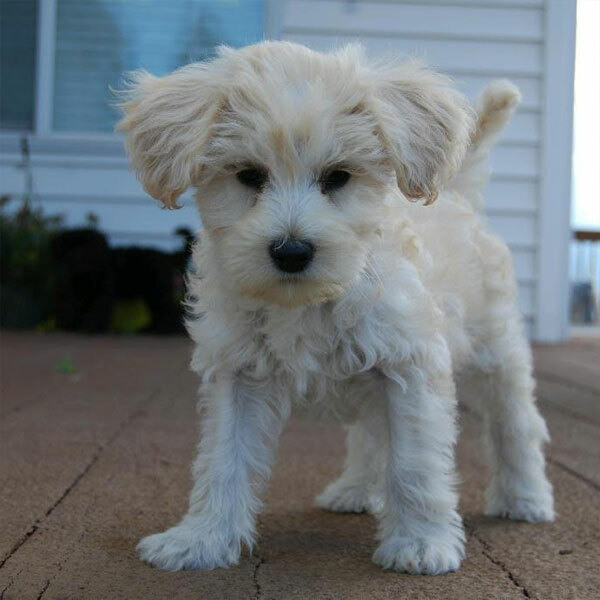 Description: Benji is an awesome little guy. He's the alpha of the pack, and he's super playful and healthy! Benji is kind of independent, and would fit in perfectly with an active family with a big yard and big hearts! Description: Kate is a tiny bundle of energy! She’s always on the move, even when her brothers and sisters are snoozing the day away. If you’re looking for a fun, healthy little girl, Kate is the pup for you! Description: Ricky loves action, whether he’s playing with his fellow Doodle pups or his favorite human family. But that doesn’t mean Ricky doesn’t know how to relax—he also loves the a nice, long nap now and again. Description: Cookie hasn’t been able to try cookies yet, but she sure loves doggie snacks! Cookie’s big appetite pairs well with her love for tag and fetch, and she gets along awesomely with her human and canine family! Description: Jack is a brainy boy who could just be the next Einstein. If you’re looking for an obedient, eager-to-please pup with a love for learning new commands, Jack might be just what the doctor ordered. Description: Sunny might seem a little shy, but once you get to know her, she’s a little ray of sunshine! Sunny loves playing games, and she’ll fall in love with you if you scratch her behind the ear just right. Description: Zack is an active little guy, and would be perfect for people who love the outdoors and taking walks. But Zack knows how to relax, too—when he isn’t busy running circles around his littermates, that is. 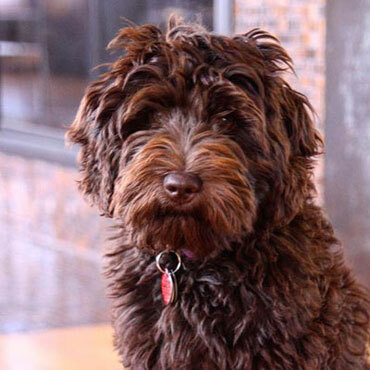 Description: Libby is one of the happiest Labradoodles we’ve ever met! It’s easy for Libby to keep herself entertained while the family is away, but she’s always ready to cuddle when mom and dad get home! Description: Lance thinks his name makes him sound like a tough guy, but he’s truly one of the gentlest dogs you’ll ever meet. He loves cuddling, and he can’t wait to greet you with his signature wet nose. Description: Maggie might be the smallest pup in her litter, but she’s super-healthy and makes up for her size with her huge personality. When you’re looking for a pup who fits in your lap perfectly, look no further. Description: One of the most laid-back doggies at Uptown, Rocco is just the pup for those who like to take it easy. Although Rocco is calm, he’s no lazy—just grab his favorite frisbee and he’ll show you what’s up! Description: Fun but not hyper, friendly but not needy, smart but not stubborn—Paula’s personality is even-keeled, but she’s far from average! In fact, some might say she’s a very, very good girl. Description: Look up “good boy” in the dictionary, and you’ll probably see Ace’s picture. 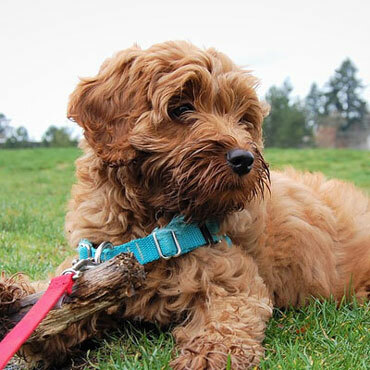 Ace is super friendly and calm, making him the perfect pup for families looking for a low-maintenance Labradoodle. Description: Nutmeg is the ultimate Labradoodle for anyone looking for adventure and fun. 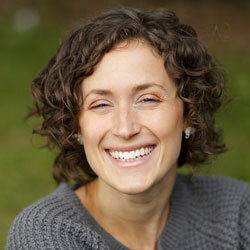 Nutmeg is energetic, athletic and carefree. But don’t worry, she isn’t hyper—Nutmeg loves hanging out on the sofa too! Description: Barry is currently seeking employment as a “good boy” with the right family. His desired salary includes infinite tummy rubs, a lifetime supply of treats, and a weekly stipend of tennis balls. Interested? We have lots of upcoming liters. 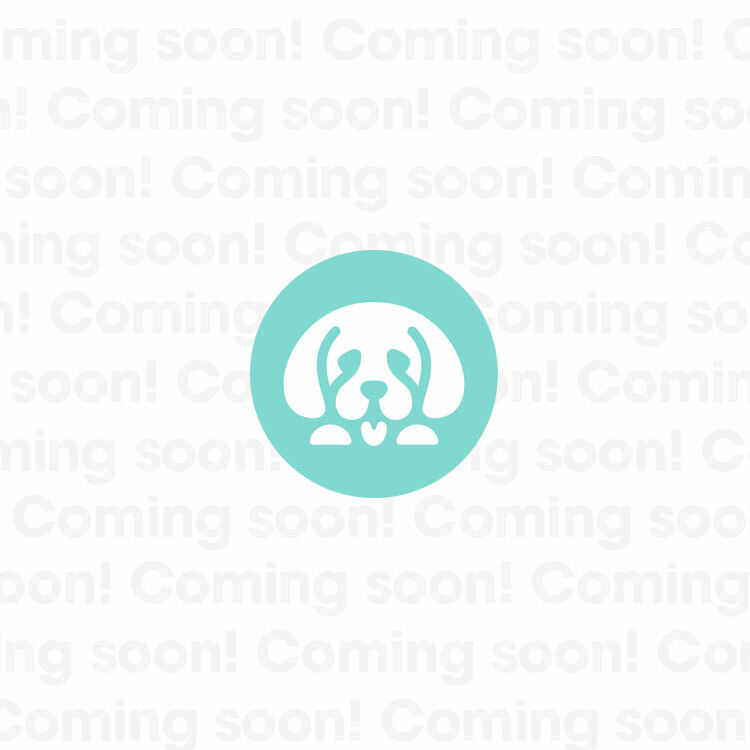 Get on our puppy list for updates! 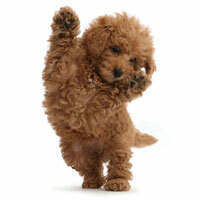 Still have questions about Labradoodles and Labradoodle puppies? We have answers! 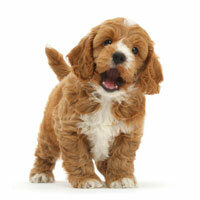 How much do your Labradoodle puppies cost? 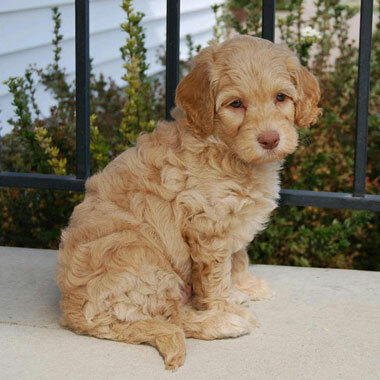 Uptown’s New Hampshire Labradoodles are priced at $3500 each, which is roughly average. 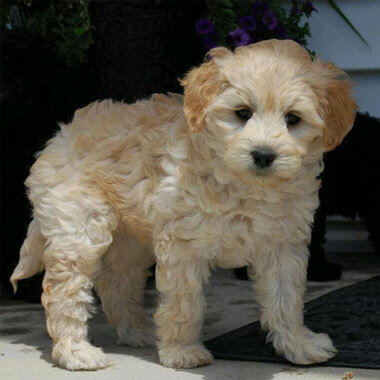 Doodle prices vary, but be wary of Labradoodles being sold for cheap—those dogs may be coming from a puppy mill. Do you ship puppies out of state? We do send our dogs from out of state if we can’t match you with one of our New Hampshire breeders. Of course, shipping can be a little stressful for the pups, so show the little guy some extra love when he or she arrives! Can I choose my own puppy? Choosing your favorite size and color is all part of the fun when working with Uptown Puppies. Just know that a few of our coat colors are rarer than others, so you could have to join our waitlist if your ideal pooch isn’t available yet. Why are your dogs so popular?